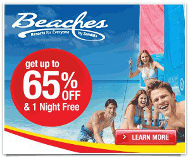 All inclusive vacations, Sandals honeymoons, Fiji, Europe & more! Whether you’re choosing the best adult only all inclusive resort; planning a family vacation or honeymoon; need expert help with a destination wedding; dream of an overwater bungalow in Tahiti; want to explore Europe, Australia, Patagonia or Africa , Totem Travel in Seattle has a travel agent that specializes in your destination. We make planning a tropical vacation, European getaway or all inclusive honeymoon as much fun as going! Our travel agents make it easy, deliver the best bang bang for your buck and ensure you are delighted with your vacation experience. That’s why our #1 source of business is repeat and referral and we’ve been a top travel agency in the Seattle area more than 30 years. 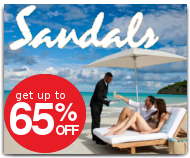 We are a Preferred Sandals Agency and Sandals’ top travel agency west of the Rockies. So ask which Sandals Resort is the best, what does a butler do, how does Sandals compare with other resorts or should I upgrade my room at Sandals? We’ve been to all the resorts and our Sandals Specialists stay in top of the line butler suites and affordable entry level rooms. We’ll help you find the best resort for your tropical vacation or all inclusive honeymoon, help you plan a destination wedding for 2 or 200, and guarantee the lowest price on every vacation package. Our Tahiti honeymoon and Fiji vacation experts travel to the South Pacific regularly and our owner was named Fiji’s top travel agent. She is also our Africa, Australia and Europe specialist and has traveled extensively throughout the world. Our agents know which all inclusive resorts are perfect for a honeymoon, which are ideal for a family vacation and where you’ll find the best beaches and fun activities so ask our travel experts about Hawaii, Mexico, the Caribbean islands, Belize or Costa Rica. Why work with a travel agent? Where else can you hire a professional at do it yourself prices? 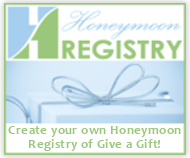 We’ve been to all the most popular honeymoon and vacation destinations, provide personal service, offer expert advice and guarantee the lowest price on everything we sell. So enjoy our award winning travel blog, visit us on Facebook, make an appointment to meet at our Kirkland office, call, request a quote, visit our booth at the Seattle Wedding Show or read more About Us. At Totem Travel you’ll always Get personalized help from a travel expert at no extra cost!